We’ve edged into May, smack in the middle of spring. The delight we gardeners take in the arrival of the season has been tested this year. After the long cold winter, spring finally arrived about mid-April. And then it had second thoughts and retreated, only to turn the heat up to almost 80 for a day or two and then retreat again. Rain has fallen pretty regularly. So while we can’t quite trust the season (what’s new about that? “April is the cruelest month,” said the poet in 1922) and we struggle with its fickleness, still we rejoice. And then we take stock of what winter meant to our particular plots: What died, what lived, how is the seasonal progression going this year? The spring bulbs liked the tough winter, on the whole, it seems. 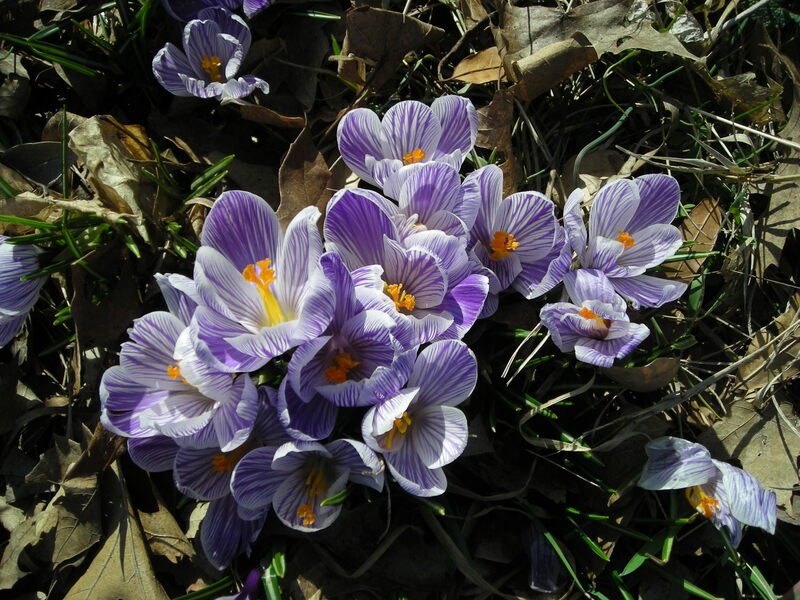 The crocuses, anemones, daffodils and hyacinths were splendid in their simultaneity, their swaths of color. The ephemerals in the shade garden are very happy this year – the celandine poppies and the wood phlox, and the very first columbines are all out together. 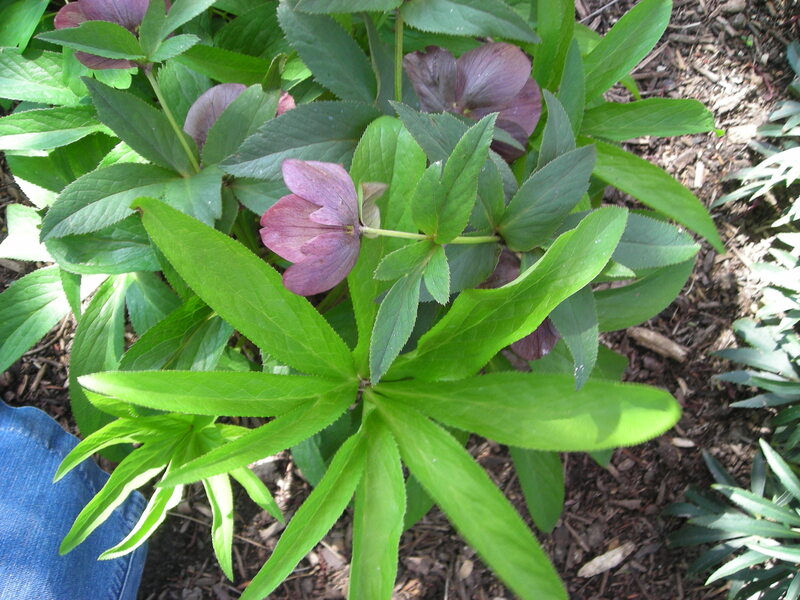 A lot of the hellebores are still blooming, having gotten a very late start. It’s a plus: more stuff at once. The tulips were magnificent everywhere I looked. Maybe the frozen earth kept the squirrels from uprooting and eating their usual quota. And thanks to the mostly moderate temperatures, they’ve lasted unusually well in lots of places. The magnolias bloomed late enough to avoid frostbite this year. The pale clouds of cherry blossoms put on a plentiful show. My crabapple’s mass of dark pink petals lasted just long enough, and the redbuds and dogwoods are lighting up the roadside forest fringes with that gorgeous mix of magenta and white. We gardeners are of two minds about rain, always. We need it, it makes everything grow, like magic. But it gets in the way of planting or even stepping on the beds to clear out winter debris. Even as the weeds grow like mad, rain softens the soil so we can pull them. Now comes the time to turn all that winter dreaming about the coming season into reality. 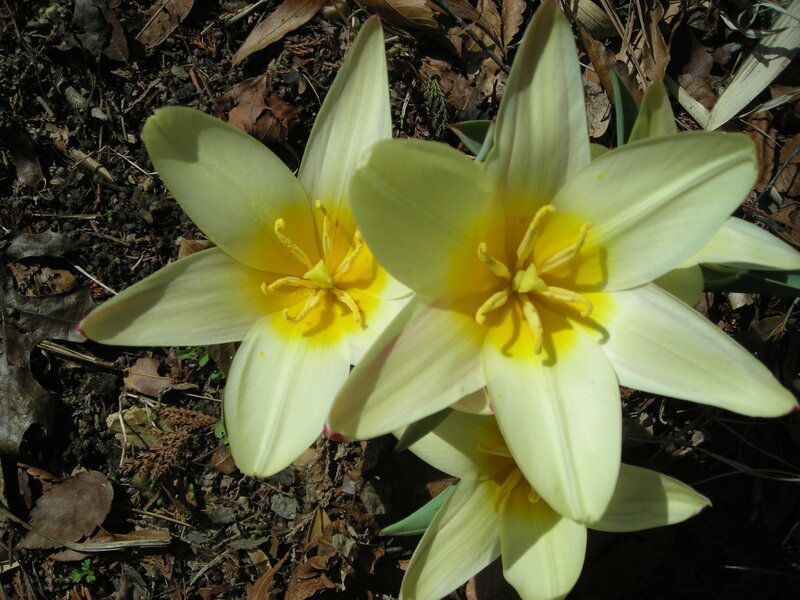 So many plant sales this season – some already past, others ahead, including some that feature native plants. We are greedy, always wanting more. A plan helps keep us sensible, making judicious choices about what would actually work, in the real world of soil, water, sun, wind, and other conditions affecting the micro-zones where we garden. Flowers or vegetables? Blossoms or foliage? Color or structure? What do we need here? Will it live? We are hard at work, getting plants and seeds into the ground. Still so many questions. So many choices. What a joy to have the rest of the growing season ahead to see how it all turns out. This entry was posted in MG in the Garden, Public Education, The Long View – Meditations on Gardening and tagged " spring bulbs, "April is the cruelest month, anemones, celandine poppies, cherry blossoms, crabapples, crocuses, daffodils, dogwoods, ephemerals, forest, gardening, Hellebores, hyacinths, magnolias, May, petals, poppies, redbuds, spring, squirrels, tulips, wood phlox. Bookmark the permalink.